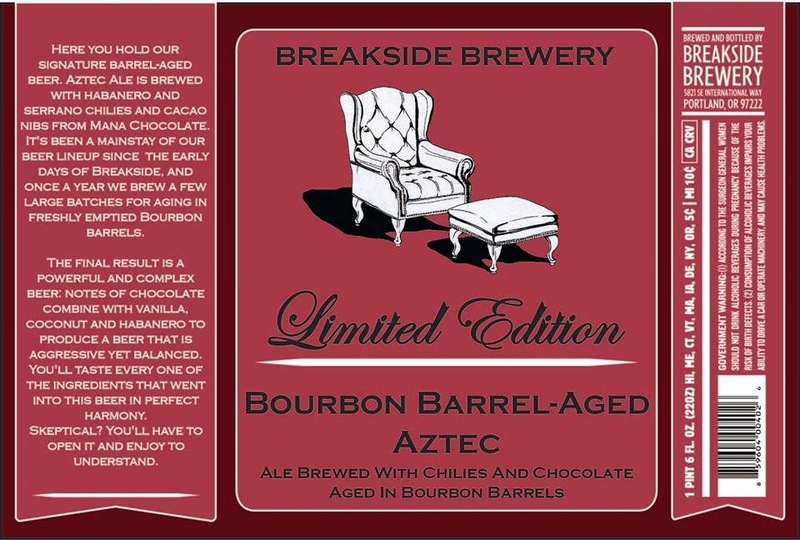 Bourbon Barrel-Aged Aztec Ale is one of Breakside's most award-winning and signature beers with an intense balance of whiskey, chocolate and chile heat. A strong amber ale made with chocolate and two types of chilies, it quickly gained a loyal following among the small brewpub's regulars. But, what can you do to improve upon a beer that's been named one of the top 5 beers in Oregon? A beer that's many of Portland's most badass chefs have named as their favorite? The simple answer...age it in whiskey barrels. 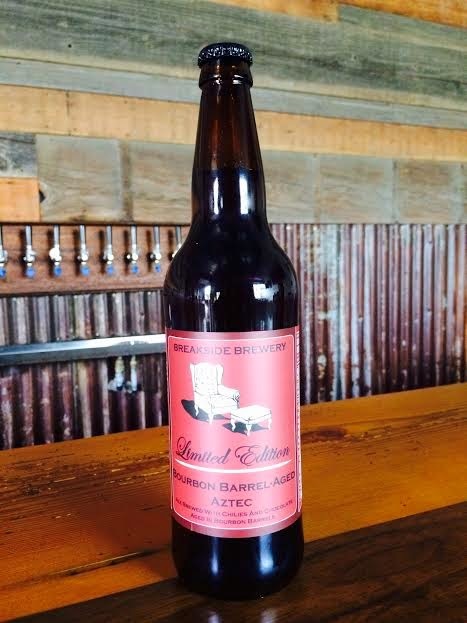 The 2014 barrel-aged version of our Aztec Ale is 10.6% ABV, 36 IBUs and delicious as hell. Notes of chocolate combine with vanilla, coconut and habanero to produce a beer that is aggressive rich and balanced. Skeptical? You'll have to taste it to understand: this beer is about Breakside since day one.